I was visiting my family for Christmas, and being at home with nothing much to do on Christmas Eve, I began surfing the television for something to watch. (It was interesting to note how few Christmas themed movies seemed to be running these days. Whether this is caused by the decline in Christian belief in Western society or simply the enormous number channels catering to diverse tastes, I cannot tell.) In the course of flipping channels, I came across a film I have long admired but was surprised to see being shown on Christmas Eve: The Man Who Shot Liberty Valance. For those of you not familiar with this film, it was a Western, starring John Wayne, Jimmy Stewart and Lee Marvin, it tells the story of Ransom Stoddard, a distinguished senator from a Midwestern state who goes back home to attend the funeral of Tom Donovan. 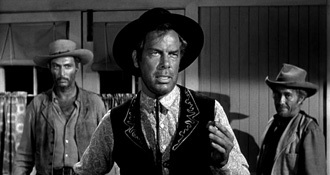 When pressed by local newspaper men to tell them why he came to his funeral, Stoddard tells them the story, which forms bulk of the film, of how he became the “man who shot Liberty Valance,” since it was Stoddard’s shooting of a Midwestern gunman, the titular Liberty Valance, that started his political career. The film reveals that Stoddard did not kill Liberty Valance, and that Donovan, the man whose funeral he has come to, was the one who did so. The film was the last by renowned filmmaker John Ford, and was not terribly well received at the box office when it came out, partly because of its melancholy and somber tones. It seemed a rather odd choice to be running on Christmas Eve, but it was part of the “John Wayne” marathon on the channel I happened to be watching. I’m glad that I did, as it gave me matter and occasion for reflection on the meaning of Christmas, especially for a Western Christian in this era of dissipating belief. 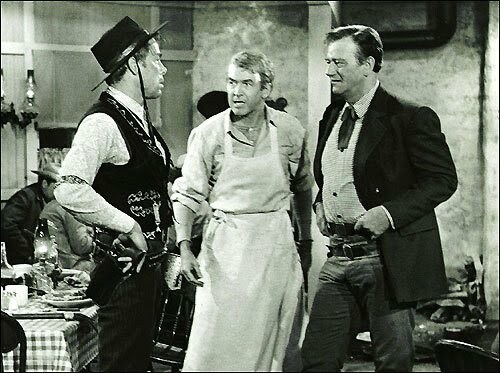 The Man Who Shot Liberty Valance has long been one of my favorite films, but I had not seen it in a very long time, partly because it is such a dark film in many ways. But I was surprised on watching the film again, that it was mere an emotionally engaging film. It has definite themes—a “controlling idea” if you recognize the phrase—which I had not noticed before. Let me explain. The film begins with Stoddard telling his story, about how he came from the eastern U.S. to make his way west, and his coach was set upon by Liberty Valance and his thugs. Wounded, and with no money, he is taken in by Tom Donovan, who sets him up washing dishes in a local restaurant to pay him back. There, Stoddard meets and begins to fall for Halley, a young woman whom he teaches to read and write but whom Donovan intends to marry. Meanwhile, Stoddard tries to practice as a lawyer, putting up a shingle outside the local newspaper office. He also has a couple of run-ins with Liberty Valance, who is not a mere bandit but is hired by large cattle ranchers to terrorize people in the town of Shinbone, the place where the film is mostly set. The cattle ranchers want the territory (they never explain which) to remain as it is, since they control most of the land in that situation. However, at the election for territorial representative, Stoddard is elected on a platform of asking Congress for statehood. It is this incident which leads to the climactic scene of the film; Valance nearly beats to death the newspaper editor, Dunton Peabody, who was elected along with Stoddard, and challenges Stoddard to a duel that night. Stoddard would almost certainly have been killed, but Donovan, from an alley opposite, fires a rifle and kills Liberty Valance, in order to save Stoddard’s life, even though it means losing Hally to Stoddard. So thus, Stoddard both gets the girl, and makes his reputation, from Donovan’s act of murder but also of self-sacrifice. The film is depressing, since Donovan fades from memory, while Stoddard goes on to an illustrious career in the Senate. This much one could probably sense from the narrative of the basic plot lines I have just recapitulated. But watching the film again, I notice the quite obviously socio-political theme running through the film. Stoddard says at the beginning of the film that he obeyed Horace Greeley’s advice to “go west, young man” literally, and the battle between Valance and the townspeople he terrorizes is portrayed as one between civilization and barbarism, between the advance of equality, law, order and democracy, on the one hand, and between inequality, authoritarianism, and violence, on the other. Thus the film is on one level about the so-called “closing of the west,” the taming of the frontier by “civilization,” and herein lies the interest in what I have called the film’s controlling idea. What is that idea? It is that civilization—law, order, and all the restrictions that go with it—is based upon violence—specifically, the expulsion of violent, disorderly elements, in this case, Liberty Valance. This is suggested by the course of action in the film, and by its main characters: Stoddard represents “civilization,” with his literacy, law degree, and east coast pedigree, whereas both the main he displaces and the man he purportedly kills, belonged to the older, more violent west. Both Donovan and Valance are gunmen, and though Donovan is generally more kind and less brutal, he has no qualms about killing Valance in cold blood to protect his loved one, Halley. His is still the law of the gun, even if he is a better man than Valance. And so story is as much about the disappearance of men like them as it is about Stoddard, in fact, more so, since his whole career is based upon something he did not do. The film suggests the success of civilization is dependent upon such violence, and perhaps its occultation into myth as well. At the end of the film, when Stoddard has finished telling his tale to the newspaper man, the editor rips up his notes, and tells him he won’t print the story. Why? “Because this is the west, sir. When legend becomes fact, print the legend.” Civilization is based upon violence, but people cannot do without violence or myths of violence, the film seems to say. What on earth does any of this have to do with Christmas? Well, for those readers of my blog who are not Christians, or only tenuously so, perhaps only in a cultural sense of the term, let me recount again the meaning of it. The Christian story is about God, the one and only God, the God of the Israelites, the creator of the universe, becoming one with mankind, by becoming an historical, flesh and blood human person, Jesus of Nazareth. This is what we call “the Incarnation.” The whole point is that God, by taking on mankind’s nature, made it possible for all of humankind to be saved from sin, and death, and all their consequences, including that of violence. We are apt, in this very sentimental age, to mistake the significance of this stupendous event, by focusing too much on the nativity itself, on the baby Jesus. It often just seems like a fairy story of some kind, in the various saccharine forms that it takes in our popular culture. It must seem, to those who are not familiar with it and with the religious ethos that the Gospel displaced, as if it no different than any of those tales of Hindu deities descending to earth as avatars, as they were sometimes wont to do according to the sacred writings of that great religion. But this is not the case at all. The Man Who Shot Liberty Valance makes this plain, for it is a good summation of both pre and postmodern views of human civilization. It reminds me of the work of the French scholar, René Girard, who made his name popularizing what he called the “scapegoating mechanism” and its role in the founding of human society. Simply put, Girard’s theory posited that every human civilization that has ever existed—all of them—were originally created by a founding act of murder. According to Girard, in response to some sort of crisis, a group of people became a society by sacrificing a single person, as expiation for the contagion that had afflicted them, whatever it might be. Girard’s evidence for this theory was the myths of ancient societies; on his reading, all of them are records, sometimes explicitly, sometimes only implicitly, of real acts of murder which took place historically. One does not have to work too hard to make the stories of Romulus and Remus, Chronos and Zeus, Marduk and Tiamat, fit into this theory, but Girard ingeniously made the point that creations myths often contain accounts of gods disappearing in some fashion or another, and argued that we should read them as the occulted record of founding murders, assuming the “god” in question was someone who was put to death by the community. Now, leaving aside the untestability of such an idea, the evidence of archeology, which has documented the disturbing recurrence of human sacrifice in ancient societies, and common human experience, which tells us that human communities all too often try to identify scapegoats to make their problems go away, is enough to convince me of the truth of such an idea. The Man Who Shot Liberty Valance seems to exemplify such an idea perfectly: in its world, a founding act of violence must be committed so that law and order can flourish, and the perpetrator of the act becomes a mythic hero because of it. One can only displace economies of violence by other, more manageable systems of violence—violence according to law, and its ideals of order. According to Girard, all myths do this—except for one. The “myth” that does not enshrine this violence at the heart of its story is that of the Christian story of Jesus. In it, instead of the sacrifice to save the community from destruction, we get, according to Girard, the story of such a sacrifice told from the perspective of the victim. This is what makes the Christian story unique: instead of validating such a sacrifice, it unmasks the motives of whose those who carried it out, and reveals the innocence of the victim—and thus calls into question all the other myths that have been told. 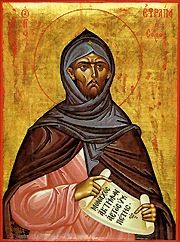 The Gospel is a sort of mythic anti-myth on Girard’s telling, one which de-mythologizes them by revealing something that no one else had noticed before—that they were always told from the perspective of the community which had put the victim to death. (What Girard doesn’t to my knowledge point out is why the myth of the scapegoat seems so plausible, and thus why it has rarely been called into question; namely, that most people know everyone is guilty of committing crimes against the community, even if they do not commit the ones for which they are put to death. That is why Jesus, in the gospel narrative, must be a “spotless” victim: he must be sinless, otherwise his death could always go on being justified because of the taint of sin. On the completely sinless victim could proclaim the innocence of those who were not sinless.) And thus, instead of the sacrifice of the scapegoat uniting and bringing the community together, it leads to the restoration of that victim in the resurrection of Jesus from the dead. The promise that all of the victims unjustly slain may rise again, because Christ was raised from the dead, is part of the legacy of Christianity. It thus promises restitution, justice and reconciliation for all those unknown scapegoats that have been slaughtered throughout the bloody annals of human history. This is the meaning of Christmas, the promise of the Incarnation: that a civilization based upon peace, not violence, came to the world, brought by God himself, who became a helpless child, and suffered himself to live in obscurity, as an Oriental provincial in a backwater of a great empire, to labor as a menial worker, and then to go out and preach this news of salvation, only to be tortured to death, and who was raised to show men that this need not be so. In history, of course, this idea has not yet been realized. But that it was brought into the world by the Christian faith is undeniable. Christianity is often blamed for not realizing it, and there is some justice in the charge; for to bring such an idea into the minds of men, and then to fail to deliver on such a promise, must needs lead to a great deal of disillusionment and disenchantment among the people affected by this belief. As indeed it has. The fruits of it can be seen all around us in modern society. 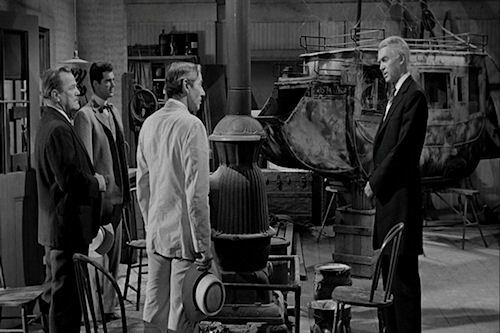 The Man Who Shot Liberty Valance exemplifies this disillusion perfectly: there is no hint of any other redemption from the violence and chaos produced by human life other than by the economy of violence introduced by law and its attendant myths. The will of the stronger is still the operative principle of modern, democratic societies, which must mythologize the violence they perpetrate to maintain order. Tom Donovan must be forgotten so we can mythologize Ransom Stoddard, and so sustain order against the threats posed by the Liberty Valances of the world. Against this, the Gospel proclaims the savior, lying in a manger, forced hither and thither by the power of Rome, who yet sparred in peace with his persecutors, spoke peace to them (and some of them even listened), lived and died in the peace that comes with doing, not the will of the stronger, but the will of the Father in heaven. Against a world in which there is only violence set upon violence, in which there is only so much love which must be parceled out, in which Tom Donovan must not only be unremembered but unloved (for the substitution of Stoddard for Donovan is two-fold: Stoddard gets the accolades and the woman Donovan desired) Jesus in his birth, life, death, and resurrection proclaims the Father’s infinite love for all the forgotten, for all those deemed unlovable by the world—yes, even murderers such as Liberty Valance, if they will repent (he never repents, and some never do, but not all). And this is the choice that still confronts us today, the choice we still have to make, and for all those who bear the name of Christian and seek to follow Christ, John Ford’s somber western, it turns out, is a good reminder of why Christ came to earth, and of the hope, with all its promise and peril, that accompanies those who choose the child savior over the man who shot Liberty Valance.